Travis Robertson is CEO and Founder of Robertson Coaching International, one of the fastest growing real estate coaching and training companies in North America, He is also one of Inman’s 25 Best Real Estate Coaches. How did you become such an authority on real estate? Why are you so passionate about it? I actually don’t consider myself an authority on real estate so much as I am on building successful businesses in the real estate industry. I am deeply passionate about business. Having been a part of building 3 multi-million dollar companies, I’ve learned a lot about how successful companies are created. I know how to market a business, how to sell, how to hire, how to scale and how to build systems – all the things that any successful agent or broker needs to know if they are interested in making more money and not being slave to their businesses. To what do you attribute your success in real estate? What qualities do you think all successful agents have? First and foremost, my faith in God and my amazing wife, Lisa. They keep me grounded and focused. After that it comes down to having a very clear vision for what we’re building, an intense focus, a massive drive and the industry’s best team of people working with me. I am so proud of the team we have and our culture. Last, but not least, it’s our clients and the success they’ve had in their businesses and lives. In 2015, our average client grew their gross commission income by 78% and grossed an average of $534,221. They don’t come to us making that amount of money. And not only do they make more money, they gain control over their lives. They often have more time and freedom to pursue what’s most important to them. It’s something I’m very proud of. When should real estate agents consider hiring a coach? It really depends on where they are in their business. If you make over $100k in gross commission, you need a coach to help you scale, make more money, increase your time with family, build a team and even plan your exit from the business. If you make under $100k in gross commission, you need a coach when you are truly serious about making more money and you’re ready to treat this like a business and not an expensive hobby. Most agents say they want to be successful. But only a few of them are actually willing to do the work that it takes to be successful. If you’re tired of being average, if you’re tired of being broke, if you’re tired of being stressed about your business or your finances, you need a coach. How important is the right training to success as an agent? It’s critical. You can’t be successful without it. Plain and simple. There is so much crap out there and so many distractions. Most of the training that exists won’t actually help you be successful. The most successful agents invest roughly 10-15% of their income in their education. Most reading this will think, “Of course they do! They have the money to do that.” What those agents don’t realize is that successful agents invested in training and coaching when they didn’t have the money – which is why they now have the money. What type of training do you think is essential for real estate agents? 1. Real estate training – This is the basics such as how to fill out a contract, local laws, ethics, etc. All of this is important and it’s where most people stop their training. They do the bare minimum to get and keep their license. However, none of this will actually help you make money, grow a business or be successful. It’s why most agents are broke. 2. Business training – This is about how to actually build and run a successful business. It’s marketing, lead generation, conversion, sales, negotiation, hiring, systems, scaling, etc. This is what the best agents invest in. It’s impossible to be successful without an understanding of this stuff. Sadly, even most of the “business training” is focused on shiny objects. They’re all sizzle and no steak. They have agents feeling like they need to use a 100 different platforms, tools, products and social platforms to be successful. It’s BS. The goal isn’t to be everywhere. The goal is to be in the right places at the right times. Everything else is just BS vanity. How has the real estate industry evolved since you started your career?What do you think it will look like in the next 10 years? It’s so much more competitive now but there’s also so much more opportunity for those who get technology and video and social media to really dominate in their markets. The biggest difference over the last 5 years has been the growth of teams. This is really what we’ve become known for as a coaching company. We’ve been advocating and helping build teams since day one – long before most people got on the team bandwagon. Teams are the future of this industry. The more technology advances, the more agents are required to try to keep up with it all. A great team can always out-service a great individual. They can also serve more people. It’s not popular to say that but it’s true. And notice I said a “great” team. A mediocre team can’t out-service a great individual. But a great team can. The thinking that you can be an expert at every area of your business is a myth. You could get by on that in the 1980s and 1990s. But not today. 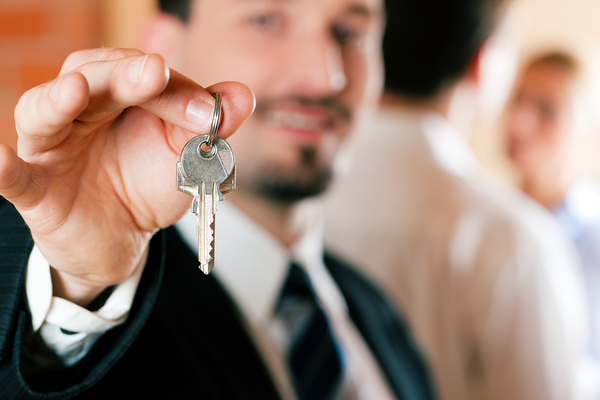 What strategies have you found will guarantee success as a real estate agent? You must know how to generate new leads for your business. The single biggest myth in this industry is that you can build a long-term, viable business that works in any market just off of repeat and referral business. You can’t. How do I know? Because from 2008 – 2011 repeat and referral business dried up for the vast majority of agents. Agents who didn’t know how to go out, kill something, drag it home and feed it to their families went out of business. This is critical: people do not repeat and refer at the same rate in a down market! Anytime someone tells me that they have more than 80% of their business from repeat and referral I tell them they are in a huge danger zone. I prefer no more than 70% from those sources. On the flip side, what are bad habits agents can get into that can lead to fewer clients and commissions? Not treating this like a business. If you think you can work part time and make $50-100k consistently, you’re delusional. 54% of agents make less than $50k gross. Pull out expenses and taxes and you’d have made more as a greeter at Walmart. Wake up early. Have office hours. Prospect. Hustle. Don’t wait for business to call you – get out there and create the business. Invest in training. Invest in coaching. Stop lying to yourself about how hard you work. If I were to audit your day, I’d probably find so much wasted time. Sure you’re busy. But busy doing what? The goal isn’t busyness – it’s effectiveness. What are your favorite resources for agents when it comes to staying up to date on industry news and trends? The Swanepoel Trends Report is fantastic. I read Inman News religiously. I think the Facebook group Lab Coat Agents is an excellent resource. And we are starting to publish more information on trends and news for our coaching members. Interested in PDH Real Estate?Contact us for more information. The rise in home sales is expected to continue. 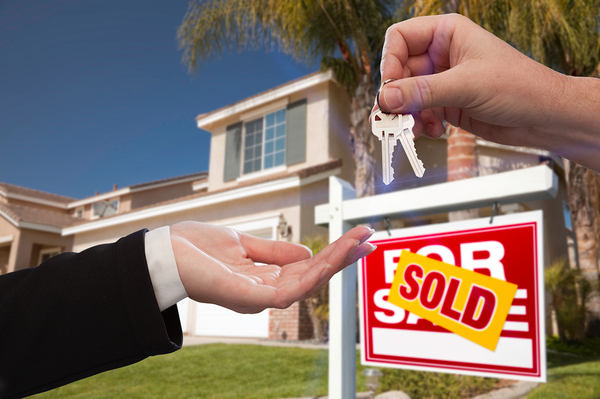 Real estate sales are looking rosy as recent reports show an upsurge in sales. As distressed sales of foreclosed homes decline and first-time homebuyers increase, that makes it a great time for interested persons to get licensed as a realtor to start a new career. Those who are already licensed will want to ensure that realtor continuing education courses are completed before licenses expire in order to take advantage of this improvement in the housing sales market. According to a report by the NAR, existing home sales have jumped 17.5 percent over the previous year in the Northeast and 12.1 percent in the Midwest over the previous year. During this period, home sales dropped some in the South and West due to price growth and shortage of available properties on the market. April saw the highest number of pending home sales contracts since 2006 in three of four areas, the highest number in over 10 years. This is believed to be due to low mortgage and unemployment rates. Pending contracts increased 6.8 percent in the South and 11.4 percent in the West. The only area that showed a decline of 0.6 percent was in the Midwest, but sales still increased 2.0 percent from the previous year. Fannie Mae releases forecasts on housing starts and sales on a monthly basis. The forecast from May 2016 into the end of 2017 shows the prediction of a steady increase in single-family, condo and co-op new and existing home sales. It also predicts a 3.1 percent increase in total home sales in 2016 and a 3.6 percent increase in 2017. Housing demand expected to grow in the future. The increase in those with employment has resulted in new formations of households that include married couples, roommates, nuclear families and individuals who live alone. This trend is expected to continue with around 1.25 million new households forming during 2016, due to the 83.1 million Millennials who represent more than 25 percent of the population. As the Millennials marry, have children or move out on their own, it will increase the demand for housing and rentals. This can increase the demand for more construction of apartment buildings and single-family homes. While the NAR is forecasting 1.3 million starts for single-family homes in 2016, 1.5 million will be needed to keep up with demand. That paints a rosy picture for real estate sales. The upswing in sales and demand makes it a good time for someone interested in becoming a realtor or salesperson to enter this exciting field. It also means that existing licensees have to stay on the top of their game by completing realtor continuing education requirements to avoid having a license become inactive. Finding an easy way to complete those requirements saves time, avoids interference in a realtor’s busy schedule and allows flexibility for study time. Completing realtor continuing education requirements is simple with PDH Academy and lets a licensee study through correspondence booklets or online courses that are accessible with a laptop, tablet, Android, iPad or iPhone from any location and whenever is most convenient. We offer preapproved courses in multiple states that can let you complete your license renewal education requirements at attractive prices and bundles that save you even more. Contact us for more information or to sign up. Emojis for Realtors are Here – Should You Use Them? If you are paying attention to smartphone interactions, it is clear that the language of millennials is clearly turning toward the emoji. That is not to say that language is becoming too simplified. Instead, it is expanding. Now, emojis designed just for realtors designed by the California Association of Realtors have hit the app store. With 30 new emojis available for realtors, it may seem like a good idea for adding some excitement to your messages. Before you start using those new emojis, there are a few things to consider. There are pros and cons to using these symbols, and there are times when you want to maintain a professional image rather than a casual one. There are certainly times when using real estate-themed emojis can set you apart from other real estate agents. They allow you to show off your personality. You can portray an educated but quirky personality when you communicate with images that portray your intended message. 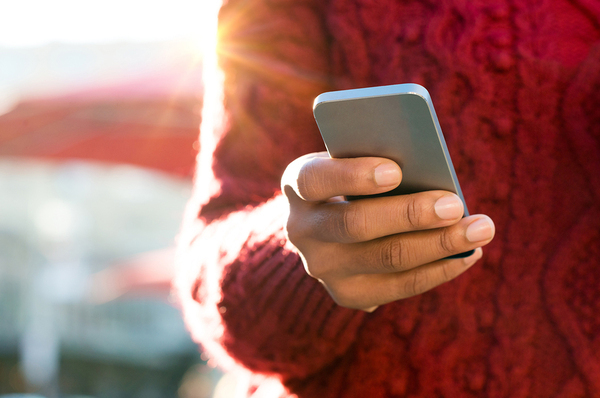 Smartphone use is on the rise, and appealing to their users puts you ahead of the pack. Real estate emojis are easy for your buyer to relate to. Younger people are beginning to buy homes, and emojis may help you connect with millennials who are well-acquainted with this form of communication. You are appealing to an entirely new demographic that you can build a sense of community with. Emojis can make advertisements easy to read. In fact, some realtors use these images to indicate certain features of a house. This can make your advertisements on social media sites, like Instagram, stand out. When potential buyers are browsing the web for houses, your ads will be eye-popping. Images attract the eye much more quickly than text, ensuring that your listings are among the first to be noticed and recognized. The key to using emojis properly to sell a home is to understand your audience. Of course, there are some cases in which using emojis is out of place. For instance, you never want to use these symbols in professional correspondence. It could harm your reputation as a professional seller if you try to appeal to colleagues or those higher up. Surprisingly, you may be communicating with somebody who does not use a smartphone or understand emojis. This is why it is important to understand your buyers and sellers. While you certainly do not want to profile or stereotype your clients, you also want to get to know their styles of communication so that you can determine which audience will appreciate what types of messages. There is always something new to learn about communication with and marketing to your clients. Are you looking for more information about putting your real estate experience to use? Do you have questions? Contact us for more information about real estate marketing and education in your area. As real estate professionals know, selling a property can raise a red flag at times, particularly when it is a cash sale for a luxury property. This was brought to light recently by an investigation into a money-laundering scheme in the Miami area uncovered by investigative reporters and linking to offshore shell companies. While shell companies are perfectly legal, ownership can change hands without being recorded and lead to money laundering in some instances. A few tips on what constitutes suspicious activity and what to do when it is discovered can help. While training and licensing are necessary to become a realtor, there is a reason for the continuing education requirements. Realtor courses taken to fulfill license renewal requirements help a licensee learn of changes in the law and offers an opportunity to increase skills. Because financial institutions present an attractive target for money laundering schemes, there are safeguards to detect and try to limit this activity. However, real estate and other industries may be used to launder money. Since 2000, according to the New York Times, 44 percent of property sales costing over $5 million were made to shell companies. The U.S. Treasury Department announced recently its intention to track the buyers of multimillion dollar properties. There may be factors in certain geographic areas that may make the possibility of money laundering during a real estate purchase more likely. The Office of Foreign Assets Control (OFAC), which is under the U.S. Treasury Department, keeps a list of countries, persons, entities and groups subject to sanctions. For realtors, the National Association of Realtors provides helpful voluntary guidelines so that licensees can increase their knowledge and awareness of potential instances of money laundering. 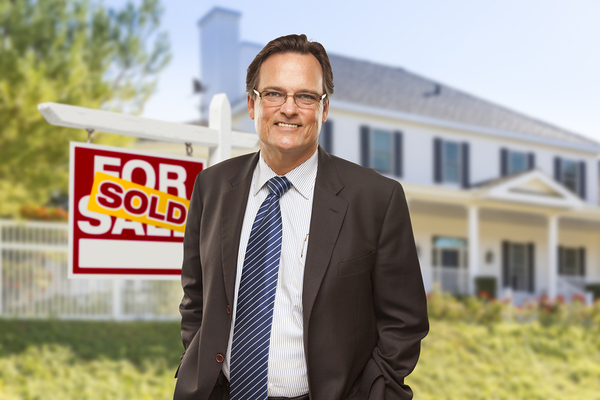 There are some questionable activities that may be related to a buyer that a realtor or salesperson can look for in a sale or purchase transaction. A buyer who is located a long distance from the property of interest may raise a red flag. Putting the title of a property in another name such as a lawyer, friend or business associate may raise a flag also, as well as placing the property in the name of a corporation, partnership or LLC because the name of the owner may be hidden in this way. Any type of third party involvement that strikes a realtor as unusual may point to money laundering. Foreign officials and their families may be suspect also. Expensive properties paid for in cash can raise suspicions. Lack of interest in the pricing of a property can be a suspicious action as well as properties that have been greatly undervalued or overvalued. Unusual cash buyers may raise a flag when purchasing an expensive property using cash or without requiring a mortgage when the buyer does not appear to be someone able to do so. A buyer who brings large amounts of cash to a closing instead of a bank check can raise suspicions. A buyer who purchases a property well above his or her means or sells it right away might strike anyone as suspect, particularly if the price is greatly reduced or increased. There are other areas that can raise suspicion with a savvy realtor. Purchasing a property without viewing it, a rapid purchase without an explanation that seems reasonable or funding that comes from a source out of the ordinary can raise suspicions. Financial institutions, because they are regulated, have an obligation to report suspicious financial activity. However, a realtor who encounters suspicious activity that might be tied to money laundering should consider reporting it. The NAR suggests reading their section on money laundering and consulting with an attorney and the managing broker of your firm before reporting suspicious activity. Realtor classes serve the dual purpose of instructing an individual studying to become a realtor and to keep realtors abreast of changes in state and federal laws. Choosing realtor courses outside of a classroom setting can make a difference in how easy it is to study to meet the hours required in each state. PDH Academy makes realtor courses easy because courses are available online or through correspondence. Online courses can be accessed with your laptop, Android, iPad, iPhone or on a tablet, so it is possible to complete courses from any convenience location or at any time. We offer courses in a number of different states, and they are preapproved in each state for continuing education. Contact us for more information or to enroll. 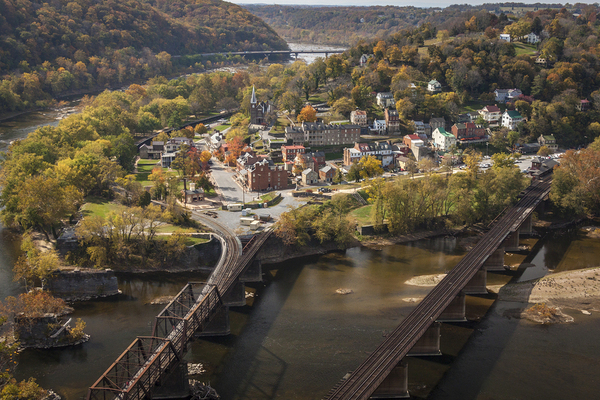 Much like in other states, realtors in West Virginia are required to complete continuing education requirements in order to continue practicing. Keeping up with all these requirements can be difficult. These frequently asked questions and their answers may help you make better decisions about your future in the real estate business. 1. What is the deadline for realtors to renew their licenses? The renewal date is the same date that continuing education requirements must be met. This date is June 30th of each year. This date stands regardless of the date on which your real estate license was issued. 2. What are West Virginia’s requirements for real estate continuing education? West Virginia real estate agents are required to complete seven elective credits each year. These credits must be reported to the West Virginia Real Estate Commission. You may be required to report your completion of these credit hours yourself, as the schools are not required to submit proof of completion for you. 3. Are there final exam score requirements for West Virginia realtors? Final exams for all continuing education courses are closed book. Additionally, real estate agents must pass all final examinations with a score of 75 percent or higher. An alternative exam is available for students who do not meet this requirement. Those who do not pass this exam will be required to take the course again. 4. What is the process for renewing my real estate license? The process of renewing your real estate license requires that you show proof of continuing education. In West Virginia, real estate agents must submit their own paperwork, including certificates of course completion. 5. Can I repeat a course for credit? Not necessarily. Realtors are permitted to complete a course they have already completed after two renewal cycles have passed. Continuing education ensures that buyers and sellers always receive information that is up to date. 6. Are there mandatory course hours for West Virginia realtors? No, there are no mandatory course hours that West Virginia real estate agents are required to complete. Real estate agents are only required to complete elective courses. 7. Can I take my continuing education credits online? Yes. All of your elective credits are eligible to be taken via online courses. Of course, agents are also allowed to take their courses and exams in person. It is only natural that you have questions about fulfilling your continuing education requirements. Each state has its own regulations, and if you work in more than one state, you have even more to keep up with. Contact us for more information about fulfilling the real estate continuing education requirements in your state. More younger people are becoming real estate agents. 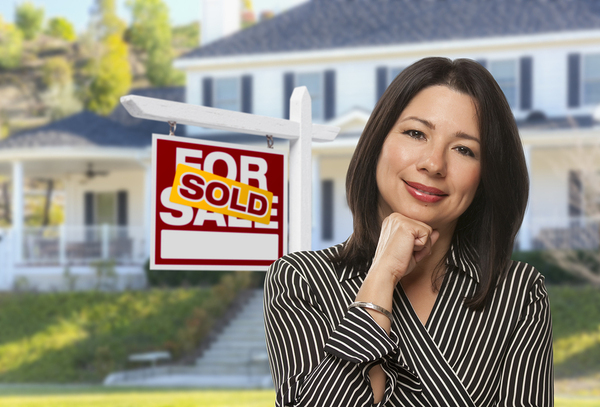 The National Association of Realtors has released a report saying that the age of real estate agents is getting younger. The 2016 survey that queried 150,024 members of the association showed that more young individuals are entering the profession when compared with previous years. Younger people are finding that real estate is an exciting profession and one that is rewarding both from a financial and personal standpoint. After initial licensing, real estate education requirements for relicensing vary from state to state, so checking early what the requirements are in your state is a good idea. Relatability can be an important factor when selling property. 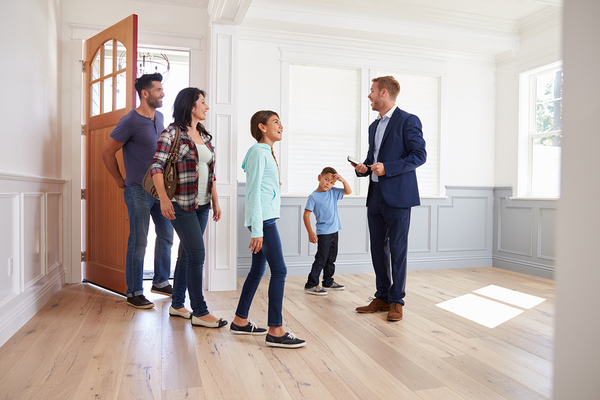 Since a first-time homebuyer’s age is an average of 31, and these younger home buyers represent 32 percent of all first-time buyers, becoming a real estate agent at a younger age can be an advantage when working with this age group. The survey made note of changes involving age and experience along with others. In 2015, 41 percent of realtors polled were 60 years of age or older while only two percent were 30 or younger. This year, by contrast, only 30 percent were 60 and older, and the percentage of the younger group rose to five percent. Overall, the average age of realtors dropped to 53 in 2015 from 57 in 2014. In addition, the experience level fell from 12 years in 2015 to 10 in 2016. The report also points out that women aged 53 with experience selling real estate for the previous 10 years are most common. 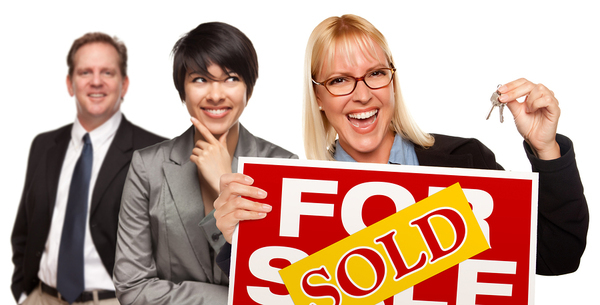 In fact, 62 percent of realtors are female. Demographics also point to the typical realtor as one who is married (70 percent), owns his or her own home (81 percent) and sells real estate as their only job. Continuing education increases knowledge among young realtors. According to CNBC, the number of realtors in 2016 is 1.2 million, a number that varies from a high of 1.3 million before the downturn in the economy to one million in 2012. This growth is largely due to the influx of millennials into the profession. NAR notes a correlation between age and experience with younger members having one year or less while older realtors have 12 to 16 years in the business. The median experience level is at about 10 years. The average income in 2015 for all realtors answering the survey was $39,200. In terms of income, experience counts. Realtors who have been selling real estate for a minimum of 16 years actually saw an increase of $4,600 in their yearly income from 2014. Conversely, members with a maximum of two years’ experience earned $600 less in 2015. For younger realtors, learning time management skills is important. Although client interaction is the bedrock of success, letting yourself be bogged down is not productive. Commitment to becoming the best realtor you can be means learning the most you can daily. Realtors are busy people. Although it is possible in some areas to take classes to complete the requirements for license renewal, it can be easier to complete real estate education requirements by using a preapproved provider. PDH Academy offers preapproved continuing education classes for realtors in numerous states through either correspondence or online courses. Correspondence courses are sent in the form of booklets, while a licensee can access our online courses with a laptop, tablet, iPad, iPhone or Android. When a licensee successfully completes a course, he or she will be provided with a certificate of completion. In addition, in states where it is allowed, the appropriate board will be notified. We offer phone support for any questions or needed assistance and offer group discounts. If you are looking to complete your real estate education requirements for relicensing, contact us for more information. With realtors selling 4,940,000 homes in 2014, according to the National Association of Realtors, it is not surprising that new individuals are entering the field as brokers and salespersons. There are many reasons for a person deciding on a career path to consider going to real estate school. Knowing what it entails can help an individual looking for a rewarding career make that decision. A Forbes article on the unhappiest and happiest jobs showed that real estate agents are the happiest in their work among the 21 jobs surveyed. Being happy at work is a prime reason why those looking for a career might want to consider real estate. One of the perks of working in real estate is that a licensee is constantly meeting new people. This gives a licensee the opportunity to learn about others and listen to their stories as they are helped to find their dream house. Some of those sales opportunities might even evolve into a lasting friendship. In many jobs, days can become tedious because the work stays the same. Realtors, however, know that every day is different and can offer new opportunities and challenges. New property listings come up, problems that have to be solved appear, and new potential buyers and sellers call with different wants and needs. Challenges in a job offer opportunities to learn new things and become the best you can be. Because laws and regulations change, new innovations arise in home building and staying on top of your game is important, realtors are required to take continuing education classes before renewing a license. In many states, this is every two years. Helping someone find their dream home is rewarding. Photographing homes and their rooms or commercial properties lets a realtor use his or her creativity to take the best photos. Realtors also write up property listings, and many have blogs on their own websites. In these and in other areas of this field, a licensee can express creativity to draw potential clients. 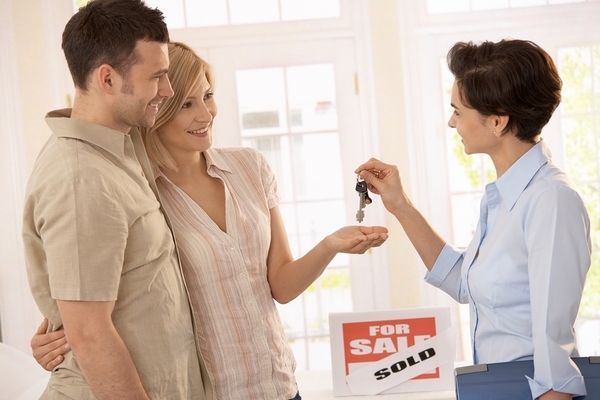 Real estate agents are state licensed, and the requirements can vary from state to state. However, the general requirements are that an individual take the educational courses necessary to become licensed, pass the initial exam, be at least 18 years old and be a legal resident in this country. Real estate licenses normally expire in a few years, and the licensee must take continuing education courses to renew a license or it will lapse. The number of study hours and approved courses are usually listed by that particular state’s regulatory agency. In addition, the number of hours required may be higher for an individual who has been newly licensed. Subjects frequently include core courses that are required and a list of elective courses. Courses usually include updates in state regulations and laws regarding real estate as a core course. In addition, fair housing practices, ethics in real estate, business practices, and other courses may be offered. Many elective courses are geared toward helping a licensee expand his or her expertise such as green technology used in real estate. Usually, courses are offered for continuing education in a classroom setting or as a lecture, through correspondence courses or online through a preapproved provider. Deciding how to take these courses is a matter of preference. While some might prefer a classroom setting, others may prefer to avoid time constraints and use correspondence or online courses. Correspondence courses offer the advantage of being able to study anywhere and at the licensee’s convenience, while having the ability to go back and review areas that are unclear. Online courses can be taken using a variety of digital devices such as laptops, iPhones, iPads or tablet, so accessing the courses is possible when it is most convenient. PDH Academy offers both online and correspondence realtor continuing education courses in multiple states that have been preapproved as courses of study. Once a course has been completed, you receive a completion certificate, and we report it to the licensing board in states where that is allowed. We also offer phone support for any questions or help. With competitive pricing and group discounts, online and correspondence real estate school courses let a licensee complete educational requirements conveniently. Feel free to contact us for more information. Every state has continuing education requirements for realtors and brokers, and Virginia is no exception. Understanding the requirements in your state may be difficult, especially as they frequently change. Course offerings also change depending on the school you choose. Need some help selecting the right courses? The answers to these questions will keep you on the right track. 1. 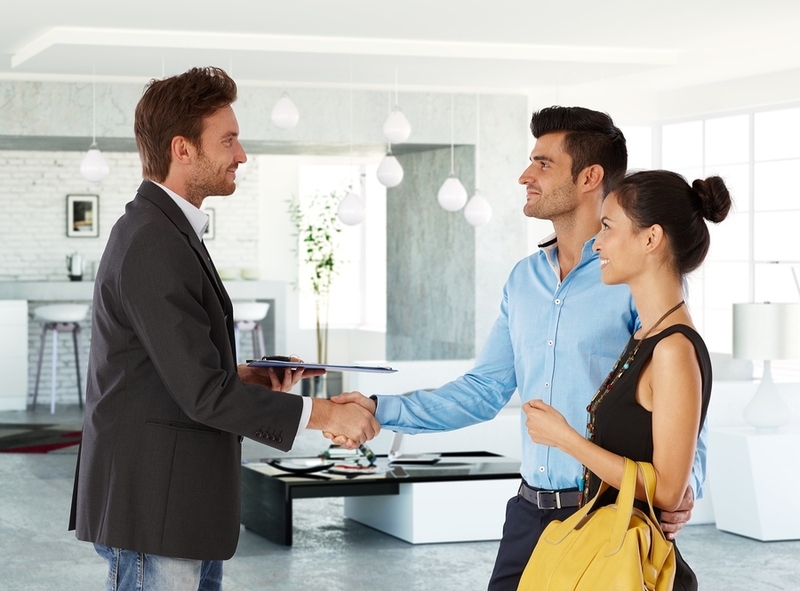 What are the requirements for a real estate salesperson? In Virginia, real estate sales professionals are required to complete 16 hours of continuing education after their first license renewal. Of these credits, eight must be in topics like agency, contracts, fair housing, legal issues, and real estate ethics. The remaining eight credits may cover elective courses. These courses are designed to keep real estate professionals educated in current events related to the real estate industry, even after they have been working in the field. 2. How often must I renew my real estate license? Real estate professionals are required to renew their licenses every two years. The deadline is the last day of the month listed on the realtor’s license. In order to renew your license, you must have already completed the continuing education requirements. 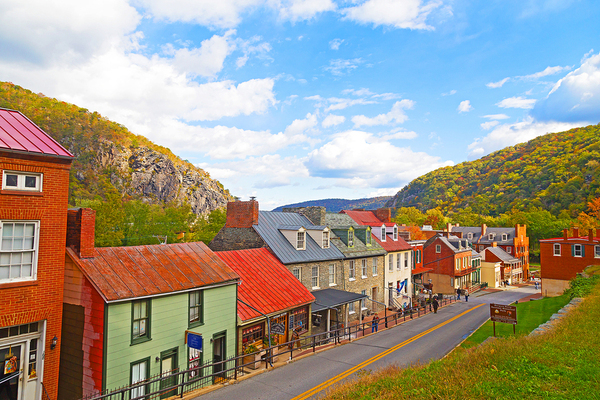 Virginia offers a wealth of lovely homes, from the mountains to the beaches. 3. How is continuing education reported in Virginia? Continuing education credit fulfillment is reported automatically by your school to the Virginia Department of Professional and Occupational Regulation. Course completion is reported three to five days afterward. You do not have to do anything in order to report the courses on your end. 4. Are there final exam requirements for courses taken in Virginia? Yes, realtors do have final exam requirements in this state. In Virginia, real estate professionals must pass each final exam with at least 75 percent. You can take the examination as many times as necessary in order to pass. 5. How do I renew my real estate license in Virginia? You can easily renew your license by logging into Virginia’s system. The website will walk you through the process. 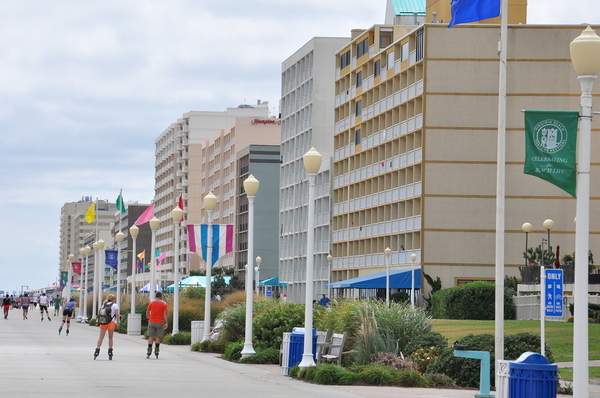 Learning more about Virginia’s real estate market ensures you better educate your clients. 6. What do I need to do to complete my first salesperson renewal? In Virginia, there are special steps you must take to renew your license as a real estate salesperson for the first time. You must take 30 hours of approved post-licensing courses in this first year. 7. How do the continuing education requirements differ for real estate brokers? Real estate brokers in Virginia must complete 24 hours of continuing education per two-year licensing period. Brokers must complete 16 hours that include courses on management, supervision, real estate ethics, fair housing, legal update, agency, and contracts. The remaining courses may be electives. Do you still have questions about completing your real estate continuing education? Contact us for more information about Virginia’s requirements and ways you can fulfill them. Renewing your realtor license in time avoids lapses. Washington realtors need to have the latest information on continuing education to renew their licenses when the time comes. Those with inactive licenses also need to know what is required to reactivate a license. This, along with information on how to complete those educational requirements easily, can be an important consideration. Following are some commonly asked questions to help you prepare, including information on real estate training online. How many hours of continuing education courses are required for Washington realtors? Renewals for those with active licenses are 30 hours every two years, unless the applicant is renewing for the first time. This applies to both brokers and salespersons. How many hours are required for a first-time real estate license renewal? Licensees renewing for the first time are required to have 30 hours in advanced practices, 20 hours in real estate law and an additional 20 hours in continuing education. This includes a three-hour core course. Is there a timeline for completing the education courses? First-time licensees may begin studying for relicensing after receiving the initial license. Other realtors and salespersons must complete at least 15 hours of study before relicensing. Up to 15 unused credits that were completed before a new period of licensing may be carried over to the next renewal. Continuing education keeps a realtor up-to-date on changes in the law. Do brokers and salespersons have to take a core course for relicensing? Of the 30 hours of study, all brokers and salespersons must take the three-hour core course. Electives may be chosen as the remaining 27 hours. When is a realtor license renewed in Washington? All realtor licenses expire two years from the date of issue. Educational and other requirements must be met by this date in order to renew a license. A new fingerprint submission is required every six years. If you did not receive a renewal notice or lost it, you can complete a license renewal application, and mail it to the Washington State Department of Licensing. How can an inactive Washington real estate license be reinstated? Inactive licenses can be reinstated in Washington. However, whether a realtor or salesperson owes education at the time of reactivation depends on how long the license has been inactive. How are education courses offered? Courses can be taken through live lectures, correspondence or online courses that have been preapproved. Correspondence courses and real estate training online have the advantage of letting a licensee study in any location and at times that are the most convenient. Can PDH Academy fulfill the requirements for real estate training online? PDH Academy offers both correspondence and online courses that complete the Washington real estate education requirements for relicensing. We report the results of each exam to the Washington Board and supply you with a certificate of completion for your files, which you should keep in the event of an audit. A grade of 70 percent is required in order to pass.You may choose from either correspondence courses in the form of booklets or online courses. Courses offered online can be accessed using a tablet, laptop, iPhone, iPad or Android device. We also offer discounts for groups, the discount depending on the size of the group, and offer courses in multiple states. To enroll or find out more, contact us for more information. As realtors know in Vermont, continuing education is required for relicensing or to reestablish a realtor license that has become inactive. Knowing what the requirements for Vermont brokers and salespersons are and taking the right core courses help avoid a lapse in licensure. Some of the most commonly asked questions about realtor continuing education follow, along with ways to comply conveniently with the education requirements. What Are the Educational Relicensing Requirements for Brokers in Vermont? Brokers must complete 24 hours of education before the renewal date every two years. Four hours of the 24 is in a mandatory course, while the remaining 20 hours can be chosen as electives. Are the Relicensing Educational Requirements for Salespersons Different Than for Brokers? Salespersons also are required to complete 20 hours of continuing education. The requirements are the same as they are for brokers with four hours of a mandatory course and the remaining hours chosen as electives. The requirements must be completed by the time of license renewal. Completing education requirements is necessary for a realtor renew a license. When is a Real Estate License Renewed in Vermont? Real estate licenses are renewed every two years in the state of Vermont. Licensees are notified six weeks before the expiration date. In addition, licensees can go to the lookup page on the Secretary of State of Vermont website to check that the renewal date is correct. What Does the Mandatory Four-Hour Course Cover? The mandatory course covers Vermont real estate regulations, laws and cases. The first part covers 2014 changes in administrative rules and public and agency protection. The second part covers changes in Title 26 VSA Chapter 4. The third part focuses on disciplinary decisions by the Vermont Real Estate Commission. Part four includes updates on Vermont cases and laws, and the fifth part is a review of federal rules and laws, including mortgage disclosures and flood insurance. How is an Inactive License Renewed? Licenses that have expired for a period of under five years require 20 hours of education completed in the previous two years, paying a late penalty and the renewal fee. A licensee who had requested that a license be inactivated may reinstate the license by paying the renewal fee, reinstatement fee and showing proof that the educational requirement was completed within the previous two years. How Are the Education Classes Offered? Education courses may be taken in a classroom setting or by correspondence or online courses that are through companies or services preapproved by the Vermont Real Estate Commission. While a classroom setting can be convenient when offered by the licensee’s realty company, many licensees prefer taking correspondence or online courses. Distance learning lets licensees study at their own pace and any place or time, whether using handy booklets or studying online with a laptop, iPad, iPod, tablet or other device. PDH Academy lets a licensee choose courses to complete the realtor continuing education requirement set by the VREC with both correspondence and online courses. No final exam is needed, and when the course of study is completed, we send a certificate of completion to the licensee and notify the board. PDH does not offer the core course required by the VREC, but fulfills the elective course requirements. Contact us for more information to see how easy studying is with PDH Academy.